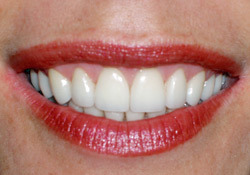 The highest dental care standards with the most innovative cosmetic techniques. For over 35 years, the practice of Cleveland dentist Dr. Steven P. Marsh has improved the smiles of people in the Cleveland, Ohio, metropolitan area. From cosmetic imaging to comprehensive after-care to answering your questions on this site, Dr. Marsh has built a reputation for the finest care and stellar results in general and cosmetic dentistry. I wanted to personally thank you once again for the world class work you’ve done thus far and for the outstanding hospitality you and your staff have demonstrated. I’ve been raised to admire professionals like yourself; professionals with a rigorous attention to detail and a passion for delivering unrivaled quality within their craft. I’ve waited a long time to be met with such a feeling of confidence upon walking into a dental practice, and words could never express how uplifting and refreshing of an experience this has already been. It’s a great moment in the world of business when you get to see someone with your level of integrity and passion rewarded for their efforts. The success of your practice speaks volumes to those qualities, and that same success is a major inspiration to a young professional like myself.